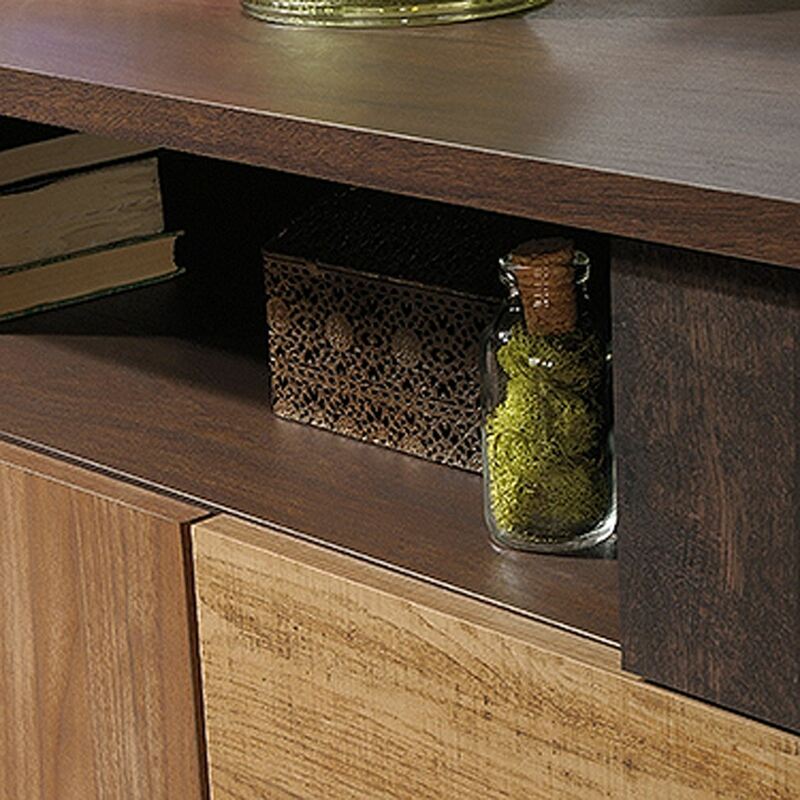 Eden Rue Credenza Spiced Mahogany By Sauder. 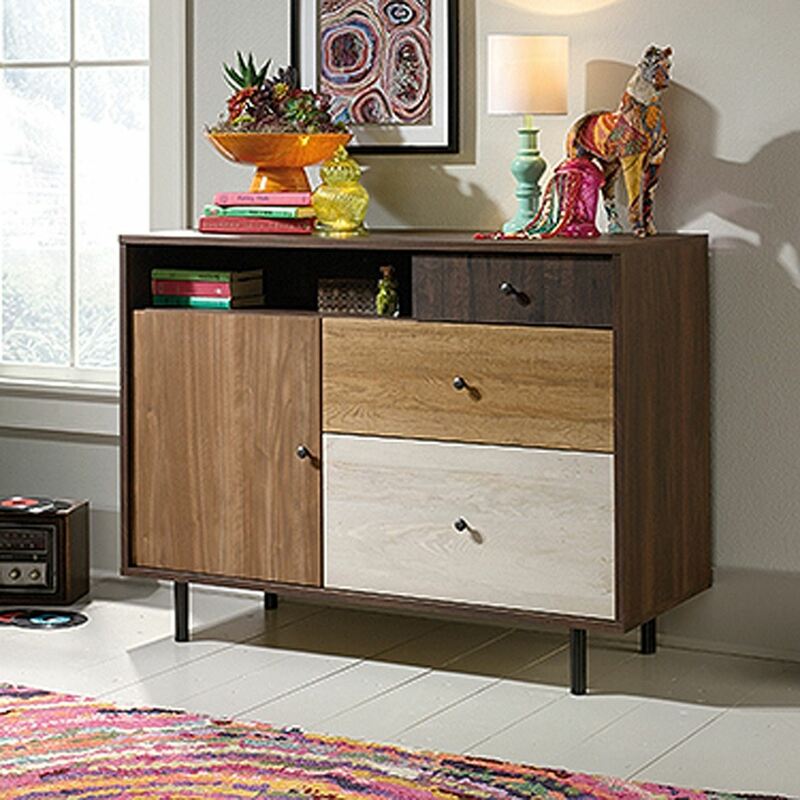 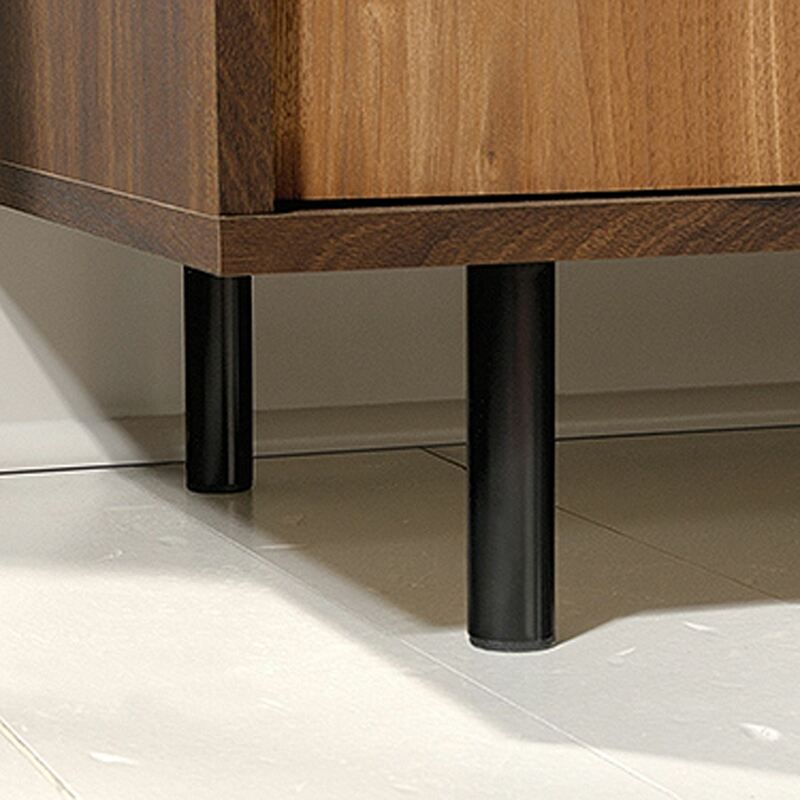 Kick ordinary to the curb with this credenza from the Sauder Eden Rue collection. 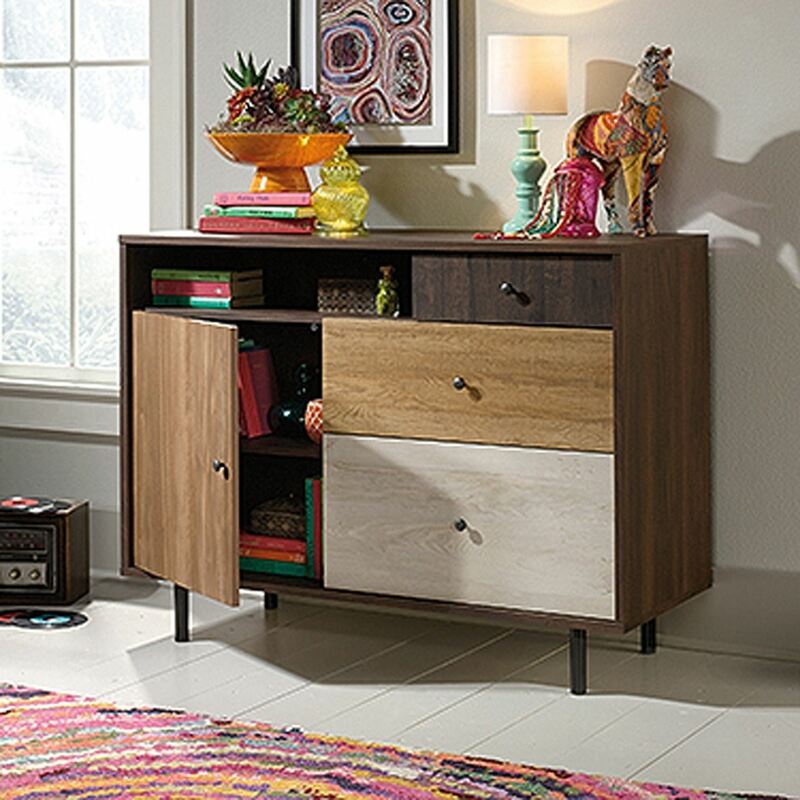 It can accommodate up to a 47-Inch TV and features cubbyhole storage, metal legs, adjustable shelving behind the door, and three drawers that glide easily on metal runners. Finished in Spiced Mahogany with patchwork finish front, this credenza is sure to add some pizazz to any room. 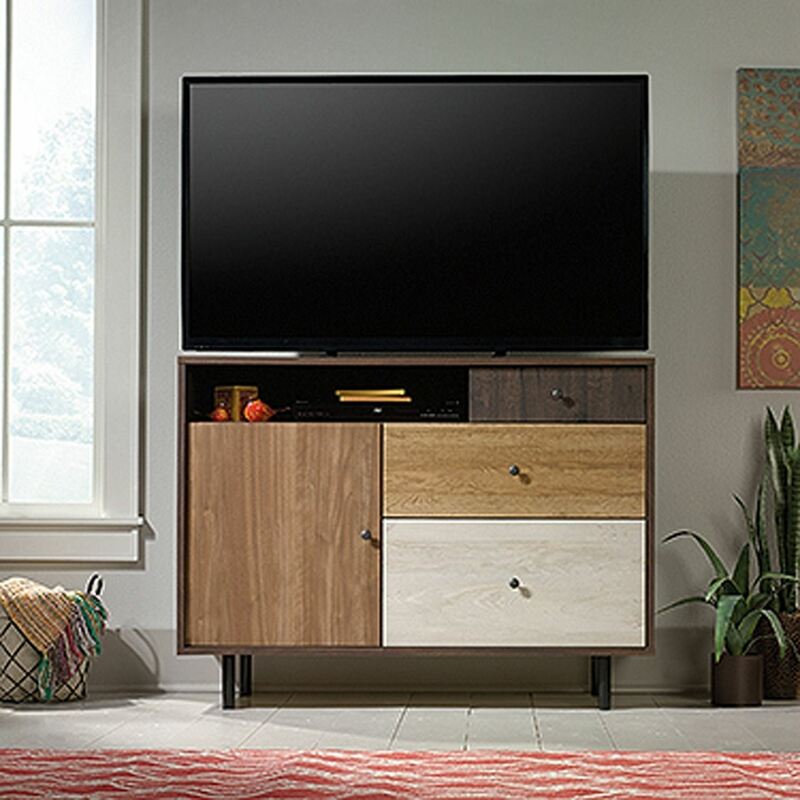 Accommodates up to a 47-Inch TV weighing 50 lbs. 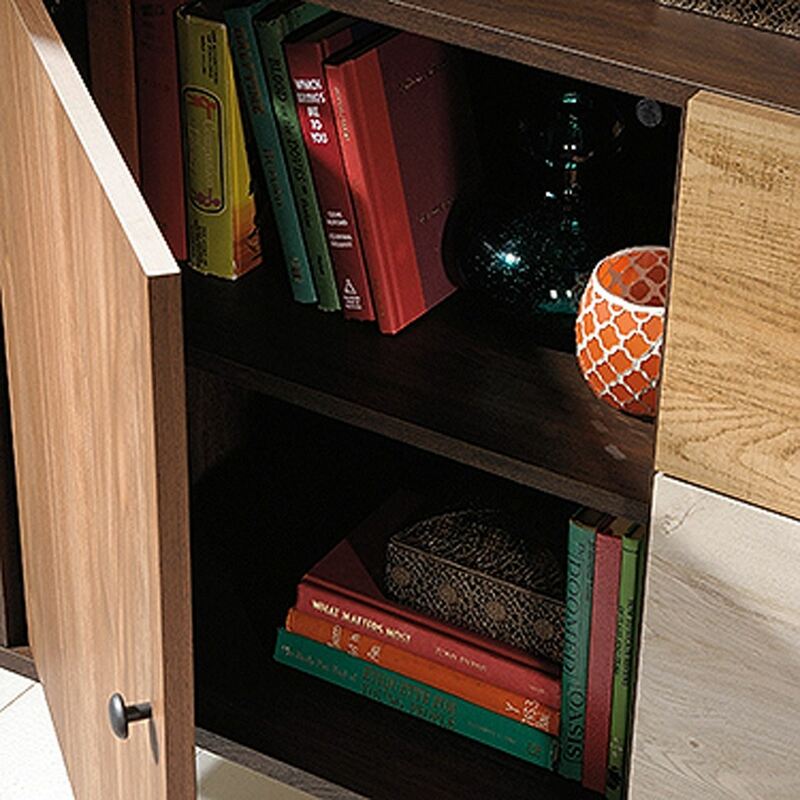 Cubbyhole storage with cord access. 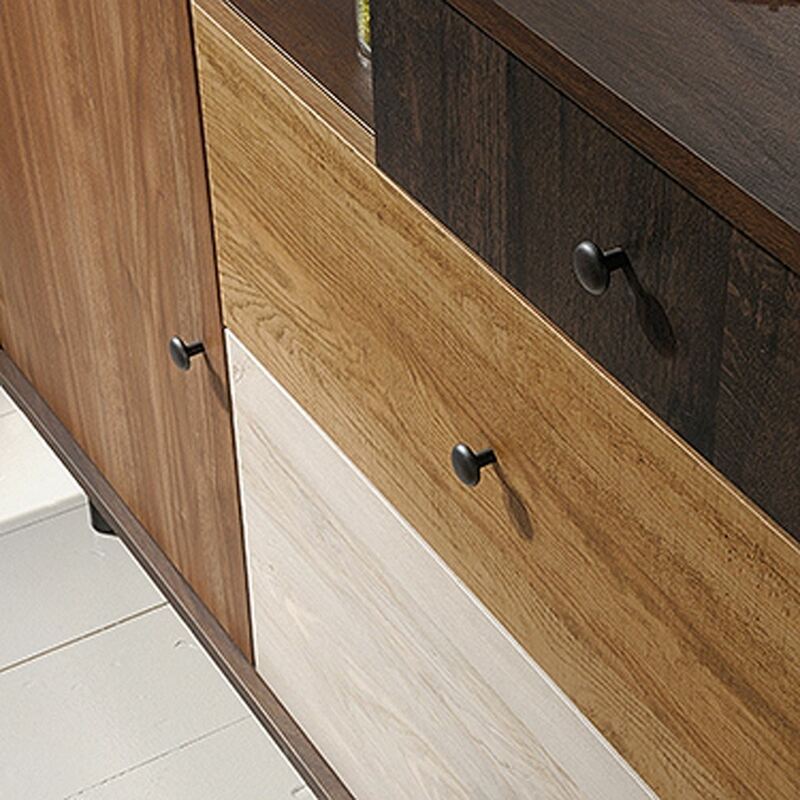 Three drawers feature metal runners and safety stops. 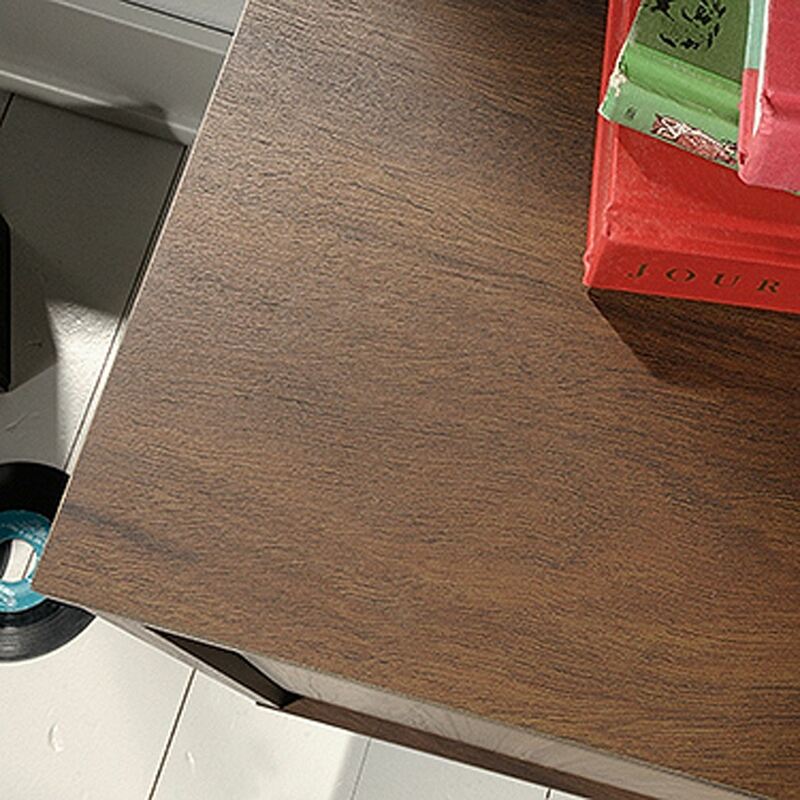 Spiced Mahogany finish case with patchwork finish front.